Yahoo has acquired mobile advertising analytics company Flurry. The company will pay at least $300 million for Flurry, according to reports. Flurry offers mobile advertisers the ability to leverage consumer data to produce personalized advertisements via banner ads, interstitials and video. The technology measures user behavior in applications by tracking taps, level completions, and purchases in order to understand the user 's path to purchase. Flurry is installed on 540,000 apps, including BCC, Skype and Zynga. The company was founded in 2005 and is based in San Francisco. Yahoo has more than 450 million monthly active mobile device users. The company's search and display mobile ad revenues increased 100% over the past two years. Acquiring Flurry would enable Yahoo to build off of this momentum by providing its advertisers with a more in-depth ad publishing and reporting platform. Yahoo CEO Marissa Mayer recently said she believes contextual search could put Yahoo at the top of the search engine market. By tracking data, such as location and prior activity, Yahoo hopes to be able to take advantage of how users interact with search and what leads them to making a purchase. Mayer is intent on replacing Google as the default search engine on Apple's iOS devices. Yahoo is focused on building a viable mobile search engine to pitch to Apple as an alternative to Google. She also recently spoke of her focus on beefing up the company's mobile DNA. 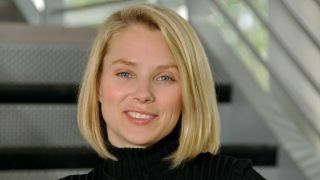 "When I got to Yahoo, mobile was everyone's hobby," Mayer quipped. "Everyone did a little bit of [mobile] and it was literally no one's job." Since she joined the company in 2012, Yahoo has built a mobile team of more than 500 employees, and the company has made approximately 30 mobile-based acquisitions.